How It Works (Those pesky Terms and Conditions)! 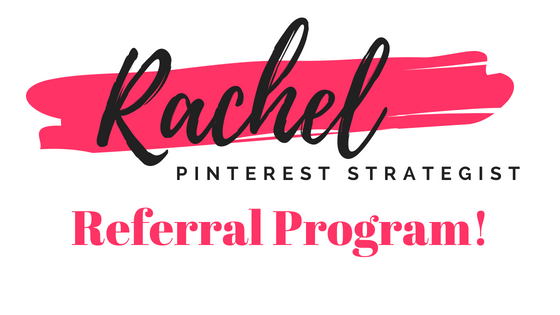 The reason for this program is to thank those that refer people to Rachel Scott – Pinterest Virtual Assistant! 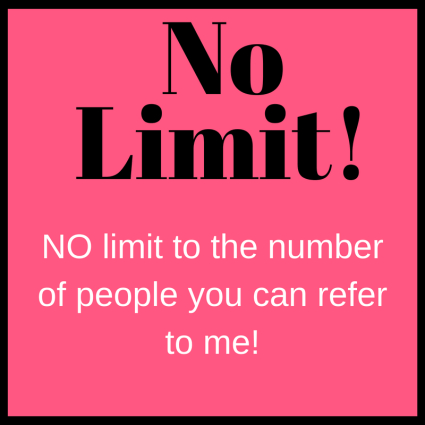 There is no limit to the number of people or payouts you can receive! 1. 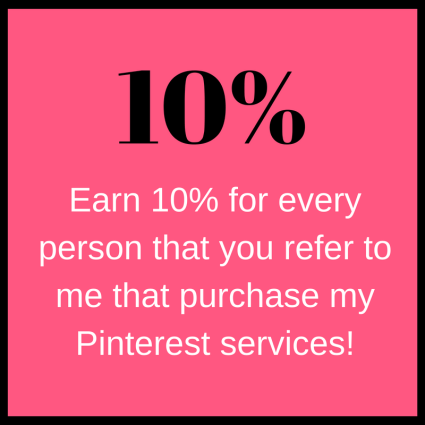 You know someone who needs my Pinterest services and you give them my information. 2. We get in touch, talk for a while, and decide on a service. This is when the person would tell me that you referred me (if they had not already said so). 3. The referrer (that’s you!) gets 10% of the total price! For example, if the referee decides on a $200 package, you would get $20! This would occur EVERY MONTH that the referee pays that price! 4. Payments are sent out through Paypal on the 15th of the next month. Using the example above, if the referee purchases the product on the 18th of June, you will get paid on the 15th of July. Optionally, if you need my services yourself, you can get this 10% credit against the cost of your needed service. Thank you so much for signing up to be part of my referral program! I look forward to the work we can do together! Interest in hearing more from me? Make sure to check out my Facebook Page: Trying Not to Go Business Crazy! This is a place for online business owners to grow their business while learning about other's!